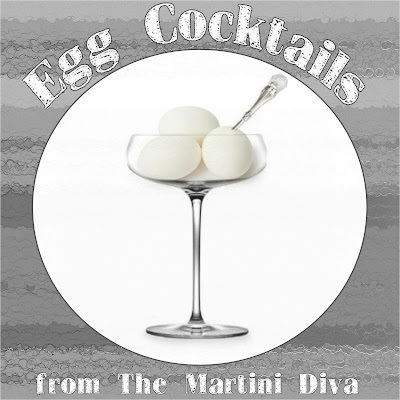 The MARTINI DIVA: EGG COCKTAILS - Silky and Beautiful! 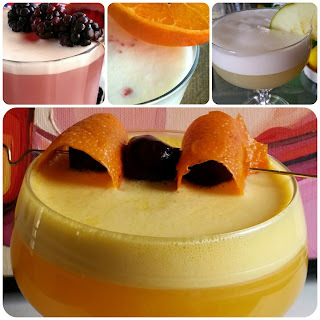 EGG COCKTAILS - Silky and Beautiful! I love cocktails with eggs in them, specifically egg whites! Oh, don't cringe, egg whites give a cocktail a wonderful mouth feel by adding a lovely silken texture as well as body and they add no flavor at all! You get a nifty little kick of protein too. Additionally, egg whites create these marvelous foams (if properly shaken) on top of the cocktail that make for a really beautiful presentation. 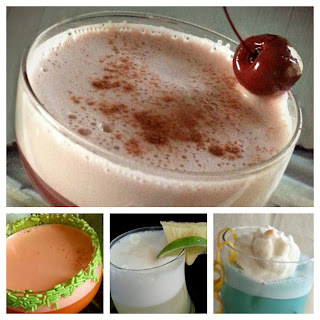 If you happen to be vegan don't despair, there is a perfectly vegan substitute for using eggs in cocktails called aquafaba. Believe it or not, aquafaba is the liquid that garbanzo beans, or chickpeas as some people call them, are cooked or canned in. You'll see I used aquafaba in my New York Sour recipe below. Since June 3rd is National Egg Day I thought it would be fun to chat about how to make egg cocktails and also round up links to my favorite egg drinks in one post.